Your checking account is the base of operations for your financial life. Now we made it even more powerful. YouFirst does more than help you manage your finances. This winning solution provides the means to financial wellness, good health, adventure, safety, peace of mind and so much more. Triple threat protection, and more. Discover the many ways you can benefit from YouFirst. We made your checking account even more powerful. The benefits below are just the beginning of what makes YouFirst a winning checking account solution. Remembering to use a coupon can be a hassle. And carrying around coupons can be a chore. Why not let your phone do all the work? 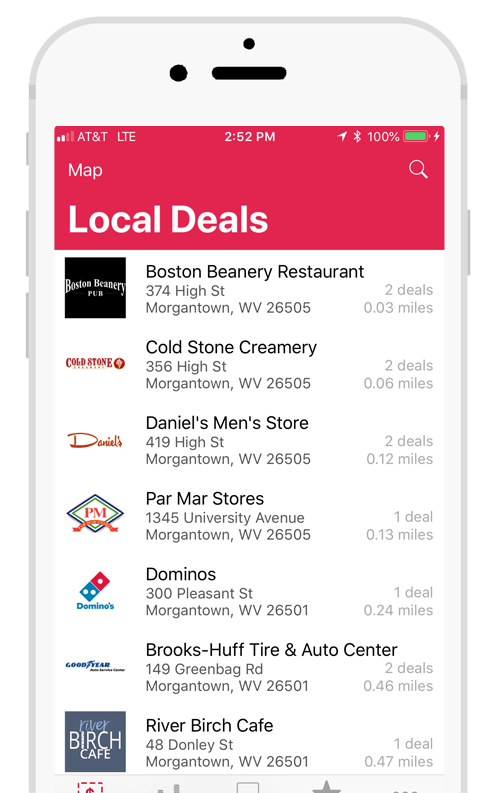 With the YouFirst app, you can be alerted to nearby deals as you shop. Find a restaurant with a free appetizer, or get deals while you're at the outlets! And, you can customize or mute the notifications as needed, so you'll only see the deals you want. Get local discounts and national retailer deals on shopping, dining, travel and more. YouFirst powered by Bazing brings you over 360,000 discounts where you live, work or travel. Simply show your mobile coupon to the retailer for instant savings or login at Bazing.com for printable coupons. Joining the BaZing discount network is a powerful way to promote your local business. It's free exposure for you and a valuable benefit for customers. Contact us to learn more on how your business can join the discount network. Track & View Your Savings. You track your steps and your calories. Why not track your savings? See how much your YouFirst account is helping you save each month, year or over the lifetime of your subscription with our simple savings calculator. 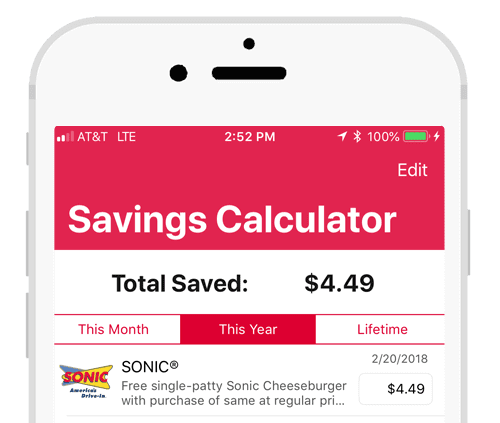 Simply enter how much you saved each time you use a coupon. You'll find even more savings on your bank statement on unlimited items such as Mobile Deposits; noted as "YouFirst Savings". Triple threat protection, and more! Protect your car, your phone, your family and your identity with YouFirst. If your credit or debit cards are lost or stolen, you have a personal fraud specialist ready to assist you. Receive up to $2,500 ($10,000 with YouFirst Plus) as reimbursement for covered expenses you incur to help restore your identity. Have unlimited access to personal fraud specialists who provide identity recovery and restoration assistance. Lock your keys in your car? Car won't start? Run out of gas? Roadside assistance is available 24/7 and free to use for YouFirst subscribers. Up to $80 in covered service charges! Exclusively for YouFirst Plus members, receive an additional 90 day extended warranty placed on all purchases made with your First United debit card. You deserve more. Get more. Membership in YouFirst Plus gives you all the great benefits of YouFirst Checking, but even more, for maintaining a $2,500 average monthly balance in your YouFirst account. 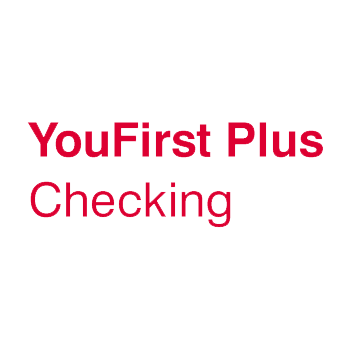 Get everything included with YouFirst Checking, plus more! Getting started with YouFirst is quick and easy. Step 1: Choose the account that is right for you. There are 2 account types, YouFirst and YouFirst Plus. Both offer a tremendous amount of benefits, but for customers who prefer to maintain a monthly balance of $2,500+, YouFirst Plus offers a higher interest rate and additional benefits. Step 2: Open your account. You can conveniently open an account online, by phone or visiting a local community office, it’s your choice! Online account openings can be funded from an existing First United account in minutes. Simply select the OPEN YOUFIRST CHECKING button below and follow the instructions. Step 3: Enjoy the benefits immediately. As soon as your account is open, our associates will help to complete the enrollment, so you can begin using your benefits, and assist with downloading the YouFirst app. For those opening an account online, complete your account opening and an associate will reach out to you as soon as possible to complete your YouFirst membership enrollment and get your savings started! Step 4: Save money. Have peace of mind. Sound good? At this point, all of the great benefits of YouFirst are now yours. Enjoy! Your membership fee will be deducted from your account monthly basis or you can save further by choosing an annual discounted rate. Online account openings default to a monthly frequency but you can modify anytime by contacting our Customer Care Center at 1-888-692-2654. YouFirst members can best manage their banking needs and rewards by downloading these apps! Access the exclusive savings, discounts and protective services the YouFirst account offers anytime, anywhere! My phone isn’t alerting me to local deals. Be sure you enable location services and select the option "always". Also, verify notifications are turned on inside the YouFirst app. While logged into the app click on ‘More’. Scroll to Manage Notifications and click. Make sure ‘Turn on Notifications’ is set to on. Sometimes turning it off and on will also help with notification issues. Is there a way to turn off certain deal alerts? In the YouFirst app, click Manage Notifications and you can choose to 'Mute' certain merchants. What if I try to use a discount and it doesn’t work? With over 360,000 deals, while rare, there could be an occasion where a deal doesn’t work. With our guarantee, you simply click "I had a problem" and submit a receipt and you’ll receive a check for the amount of the discount you should have received. I'm locked out of the YouFirst app. How do I get reset? Do the benefits of Bazing take effect immediately upon enrolling in a YouFirst Account, or is there a waiting period? E.g. 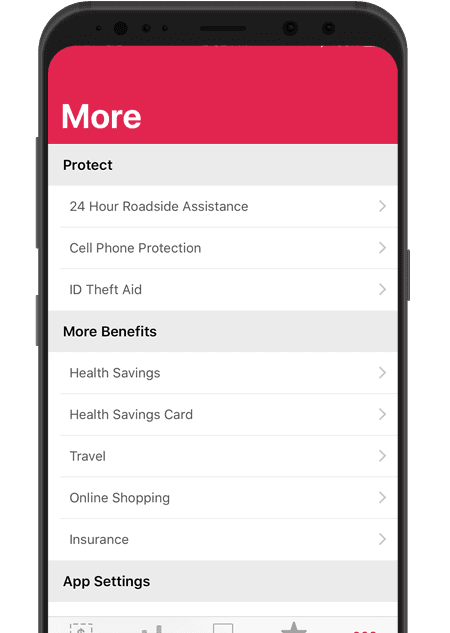 Roadside Assistance, Cell Phone Protection, Extended Warranty, etc., can you just enroll and immediately start using those benefits? All of the benefits take effect immediately with the exception of the Cell Phone Protection coverage. This benefit begins and renews the first day of the month following a cell phone bill payment from the YouFirst checking account. If a payment is not made in a given month the coverage will be suspended the first day of the following month. Please refer to the Guide to Benefits Cell Phone Protection insurance document on the BaZing website for additional information. How is Bazing using my location on my phone? BaZing applications may collect real time location information for the purpose of providing the customer with services but are only done so with the permission of the user. Collection of data/information by BaZing via mobile applications will only include location information and user favorites in order to provide pertinent data regarding service offerings. I had a problem with a coupon! Help! The BaZing Guarantee states if an offer that is listed on the website or app is not honored and you go ahead and make the purchase as listed on the offer you can send in your receipt with a description of your experience to BaZing Customer Service and we will issue a refund. You can also send an email to BaZing Customer Service with the merchant name, location and issue experienced. If additional information is needed it will be gathered at that time. Or, if the customer is using the app there is a way to send a notice to Customer Service directly from the app. When you close the offer there are different options to choose. One of those is ‘I had a problem’. This means that for whatever reasons there was an issue with redeeming the offer. When you select that option; you are given the option of adding a picture of the receipt. Simply click the ‘camera’ icon to do that. Then click ‘submit’. The maximum refund is $100. How will I get my reimbursement for my damaged cell phone? You will need to file a claim. The claim form can be printed from the BaZing website or you can contact BaZing Customer Service and they can send you one via email. You will need to fill it out and send in the required documents. After the claim is reviewed you will receive a Summary of Benefits along with a check, if the claim is payable. Please refer to the Guide to Benefits Cell Phone Protection insurance document on the BaZing website for additional information. How bad does my cell phone have to be damaged to get reimbursement? If a cell phone is damaged to the point that you cannot make or receive phone calls then you are eligible to file a claim to be reimbursed for costs to repair or replace the damaged phone. Please refer to the Guide to Benefits Cell Phone Protection insurance document on the BaZing website for additional information. The Roadside Assistance benefit is up to $80 in services at no charge as long as you call the Roadside Assistance phone number on the YouFirst app or website and receive your service through a BaZing provider. You can also call BaZing Customer Service and be transferred to the Roadside Assistance partner to receive service. This is not a reimbursement service so you cannot secure your own service and request a refund of any costs up to $80. Please refer to the Terms and Conditions on the BaZing website for additional information. How does the "one insufficient funds overdraft per 12-month cycle" work? Once per calendar year (January 1 - December 31) each year, as a YouFirst subscribing member, if you should happen to overdraw your account; we will automatically refund the insufficient funds (NSF) fee after it has processed. Contact our Customer Care Center at 1-888-692-2654. Member FDIC. Participating merchants on BaZing are not sponsors of the program, are subject to change without notice, may not be available in all regions and may choose to limit deals. 1) Cell phone protection and personal identity theft benefit are subject to additional terms and conditions. 2) Insurance products are: NOT A DEPOSIT. NOT FDIC-INSURED. NOT INSURED BY ANY FEDERAL GOVERNMENT AGENCY. NOT GUARANTEED BY THE BANK. Membership in YouFirst or YouFirst Plus is $7.99 per month or $80 annually and will be automatically withdrawn from your YouFirst or YouFirst Plus checking account. Avoid an additional $9.00 monthly service charge on your YouFirst Plus account by maintaining $2,500 minimum average balance in your account. For electronic services, message and data rates may apply; contact your cellular provider for information on your mobile contract. Call us at 1-888-692-2654 if you are experiencing any issues. iPhone® is a trademark of Apple Inc., registered in the U.S. and other countries. App StoreSM is a service mark of Apple Inc. Android™ is a trademark of Google Inc.
Products offered by First United Wealth Management are not a deposit, not FDIC-insured, not insured by any federal government agency, not guaranteed by First United Bank & Trust, and may go down in value. Accounts can only be opened in the following states and/or districts: West Virginia, Maryland, Pennsylvania, Ohio, Virginia, District of Columbia. Accounts cannot be opened by individuals under the age of 18. Charge for Non-First United ATM usage is $3.49 per transaction, this charge does not apply to MoneyPass ATMs nor Sheetz surcharge free ATMs. Debit cards ordered with online account openings will be the standard debit card design. To customize your order, please contact our Customer Care Center at 1-888-692-2654 upon completing your account opening process. Please download these account disclosures and save them for your records. Attention: When opening an Online Account, your digital access will be limited to read-only. If you need immediate access, please contact the Customer Care Center at 1-888-692-2654 for verification. Otherwise, a member of our team will reach out to you on the next business day after account opening at the number provided at account setup. Did you open your account online and now need to finalize it? If you recently opened your account online and you're trying to finalize your account. You should have received an email with instructions, however, you can also click the link below to complete your account opening process. Click here to finalize your online account enrollment. Ready to try Mobile Deposits using app? You can learn more here.